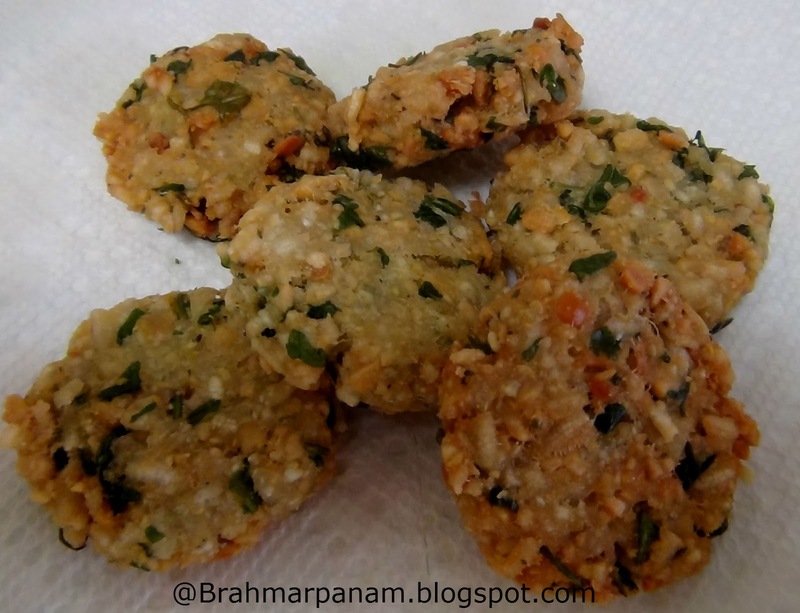 If you are bored of making the same vada for all the festivals, then try this one next. It remains crisp even after it becomes cold. Wash and soak the channa dal and toor dal for 30 minutes. Grind the dals along with green chillies and ginger, coarsely without adding much water. In a bowl, add the ground mixture, the soaked aval, coriander leaves, salt, asafoetida and mix everything well to form a dough. Heat oil in a wok /kadai for deep frying. Make small balls and flatten them and fry till golden brown. Remove them with a slotted spoon and drain the excess oil on a tissue paper.